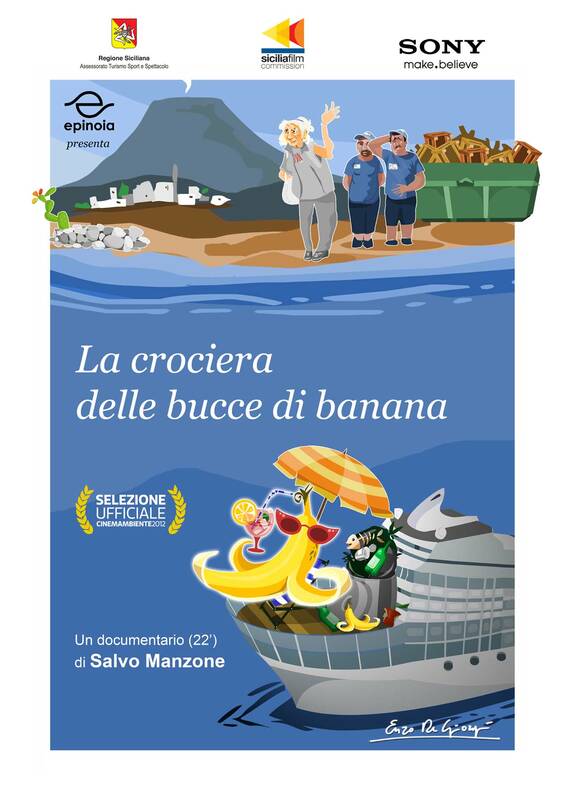 Aimée, an hale eighty-year-old lady, fights for the waste separation in Stromboli. Poster drawn by Enzo De Giorgi. Aimée is an elderly Frenchwoman who lives on Stromboli, an island in the Aeolian archipelago off the north-east coast of Sicily. 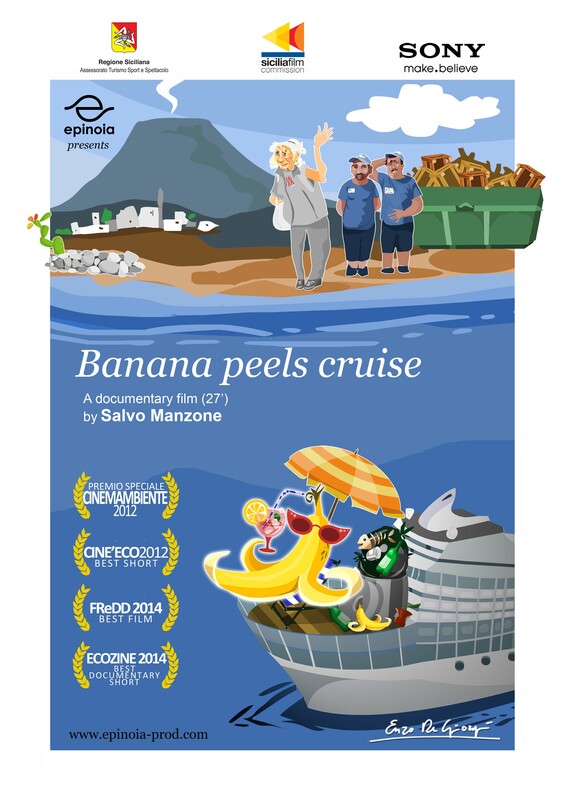 For years she has been battling against the local administration to have correct waste disposal management on Stromboli instead of the current practice of shipping it elsewhere. But the situation on Stromboli is paradigmatic for the rest of Italy: garbage emergencies; entrenched environmentalists; unconcerned politicians. But only through efforts by people such as Aimée is it possible to bring about a change, for example, with differentiated collection or organic waste composting, thus obviating the need to send a banana peel to a distant dump out of sight and smell. Economical interests hide reality and sometimes create event the waste’s issues. Instead of simplicity, which is the key of ecology, they prefer to search for expensive and complicate solutions to make a business. With her words and everyday actions, Aimée personifies the simplicity of ecological thinking.